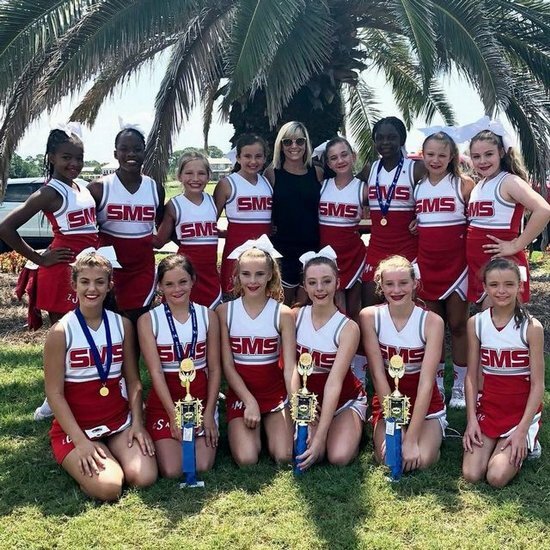 Saraland Middle School/Nelson Adams Campus: Highlights - Cheer Squad Named "Game Day Champions"
SMS Spartans: Game Day Champions! Congratulations to the cheer squad for representing Saraland Middle School so well at cheer camp! The team placed 1st in Cheer, 1st in Rally/Dance Routine, and 1st overall, making them Game Day Champions! Awesome job, girls and Coach Massey!